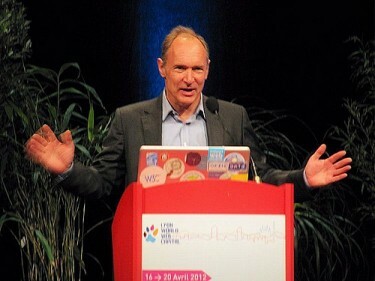 On April 16-20, 2012 the 21st International World Wide Web Conference (#WWW2012) gathered around 2,500 internet and social science professionals, web and mobile technology creators, researchers and scholars, in Lyon, France to discuss matters of global concern for the Internet and the Web. The main themes were “Society and Knowledge” and “The Future Direction of the Web”. The conference agenda covered both social and technological issues, as well as Internet and democracy, free access to services, freedom of expression, regulation and censorship, control and copyright. The #WWW2012 proceedings are available online, so the many interesting papers can be downloaded. Plenary keynotes videos are also available. I was a program committee member for a Making Sense of Microposts (#MSM12) workshop. I also presented a research paper on “phatic communication” and why tweets and Facebook updates on weather, food, and mundane life are useful for online communities, human relationships and social networks (I have written about this subject here, here, and here). Le fondateur du web a réalisé un plaidoyer en faveur d’un Internet libre et ouvert. Lors de sa keynote, il a exprimé ses inquiétudes concernant la collecte et l’exploitation des données personnelles. Pour Tim Berners-Lee, la menace vient de principalement de l’industrie et les utilisateurs du web doivent agir et ne pas hésiter à réclamer leurs données personnelles à Facebook ou Google par exemple ». The founder of the web has made a plea for a free and open Internet. During his keynote, he expressed his concerns regarding the collection and use of personal data. For TBL, the threat comes mainly from industry, and users of the Web must act and not hesitate to claim their personal data from Google or Facebook for example. the principle of least effort when designing new languages, encouraging the usage of open mobile applications if they don’t like the world of closed systems. He also stressed as in the panel the importance of the openness – open data, suggesting that the UK government needs to understand what open standards are, and urged the same for governments in any country to embrace the movement of open data. Data should be open for public: government statistics, economic, social, demographic, non-sensitive related to democracy and political debate. Je souhaite souvent que le web reste ouvert à la créativité des utilisateurs de tout lieu y compris ceux d'Afrique.Je tiens à féliciter TBL pour ces mises au point claires et virulentes.Nous travaillons beaucoup aussi ici en Afrique de l'Ouest pour avoir une meilleure visibilté sur le net tout en espérant profiter pleinement du réseau pour créer,partager, briller et donner le meilleur de nos talents. I often wish that the web will remain open to the creativity of users everywhere including those in Africa. Congratulations to TBL for developing these clear and virulent points. We are also working hard here in West Africa for better visibility on the net hoping to take full advantage of the network to create, share, shine and give the best of our talents. TBL also voiced his opposition to the treaties that advocate increased surveillance and regulation of the Internet, including ACTA. Si nos libertés sur le Web sont certes menacées ou malmenées par des politiques gouvernementales répressives (SOPA, PIPA, Hadopi) pressées par des lobbies industriels et économiques ; il ne faut pas oublier que le Web n’est qu’un des supports de communication existant dans l’espace public démocratique, et non l’unique. Le web est une technologie et non un droit, ni une liberté, même si il devient le moyen d’échange prépondérant d’idées entre individus par une infinité d’outils : blogs, mails, chat, réseaux sociaux… Dans les pays arabo-musulmans, le web a joué le rôle d’un facilitateur par ses outils, permettant une mobilisation rapide et massive des protestataires au Caire, à Tunis ou à Tripoli ; mais il n’a jamais fait la révolution. Une révolution ne se fait pas avec des machines, mais avec les hommes qui sont derrière. 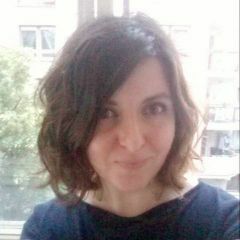 If our freedoms on the Web are threatened or abused by repressive government policies (SOPA, PIPA, Hadopi) pushed forward by business and industry lobbies, one should not forget that the Web is only one existing communication media in the democratic public space, not unique. The web is a technology, not a right or a freedom, even if it becomes the dominant medium of exchange of ideas between individuals of infinite tools: blogs, emails, chat, social networks… In the Arab-Muslim countries, the Web has played the role of a facilitator by its tools, allowing a rapid and massive mobilization of protesters in Cairo, Tunis and Tripoli, but never made the revolution. A revolution is not made with machines, but by the men who are behind. …spend 90% of our time doing cool stuff, invent new things […], but the remaining 10% go to protect the open Web infrastructure on which all this is built. Because otherwise we cannot innovate, because the platforms will be closed, because service providers will control traffic. Obviously we all need to reflect individually on these present critical issues in our society and embrace collectively actions that will foster the growth, stability, and healthy, open and neutral eco system of the Internet. Since democracy depends on the open internet – so the human discourse depends on the open internet as well, with the massive engagement where everyone gets involved. all the things that must be done to get your site to the top.